Brim Eyelets: one on each side of brim, centered. Available without brim eyelets in lots of one dozen or more. Single brim S-40’s come with a slight upward curl to the brim. All styles available in our premium grade Double Brim. Two completely separate brims sewn together to give the strongest brim available. Will hold their shape under the severest handling conditions. 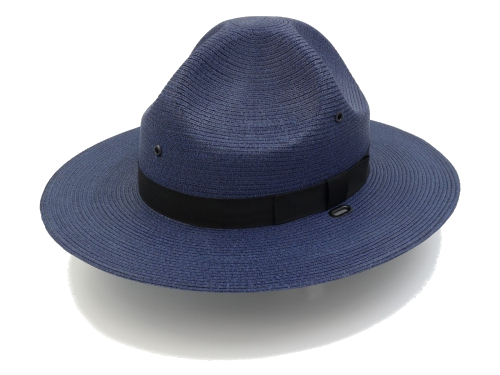 S-40/40DB Summer Campaign: The S-40 is a traditional four dent style, Extra stiff brim in 3″ width with a slight curl. The Flat double-brim version, S-40DB is worn by most State Patrols. 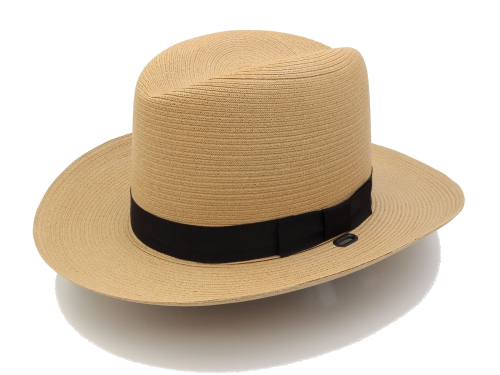 S-42/42DB Straw Sheriff Style is our most popular law enforcement summer hat. Open weave crown for maximum ventilation. 3″ double dense brim for exceptional shape retention. S-38/38DB Trooper/Rider is a regulation summer issue hat. Extra stiff double dense brim with side-curl. Open weave ventilated crown. 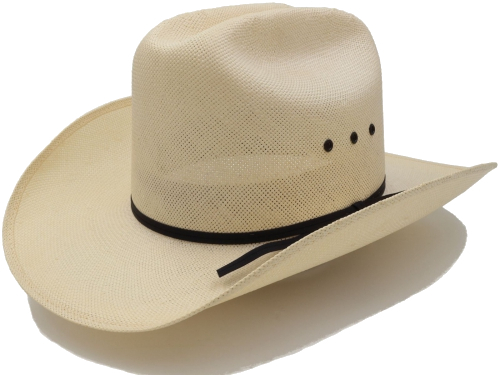 S-36 Western Style is pre-blocked with western style cattleman crown and 3-1/2″ dipped brim. The hat is trimmed with matching 3/8″ three-ply ribbon. It is also available in 4″ brim. S-36W Border Patrol is pre-blocked with western style cattleman crown and 3-1/2″ dipped brim. The hat is trimmed with matching 3/8″ three-ply ribbon. 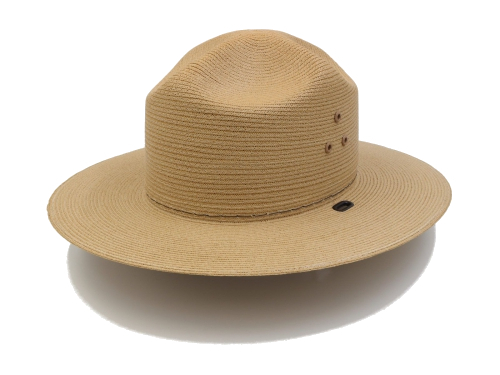 S-44DB National Park Service is a summer dress hat. Same shape as F-44 National Park Service felt hat. Three pyramid stacked vent eyelets on each side of crown. Brim 3 1/8″ wide. No ribbon or brim and badge eyelet holes. Foam sweatband. Brim eyelets standard. To ensure an optimum fit, Stratton offers custom-sized head wear to individual needs. 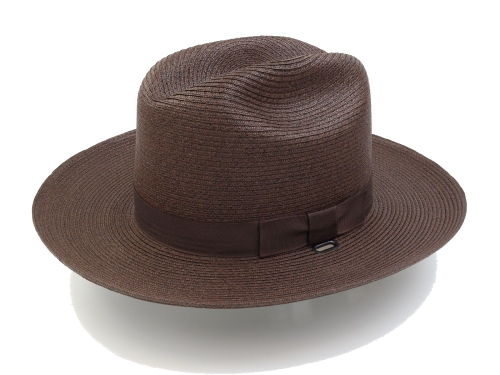 Stratton has the broadest range of sizes and shapes offered by any uniform hat manufacturer today. In addition to the Regulars from 6-1/2 to 7-7/8, we offer Long Oval, Extra Long Oval, and Wide Oval in most sizes. Size rings available for measurement.